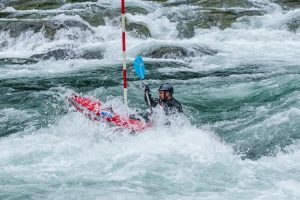 This is the ultimate test for inflatable kayakers. 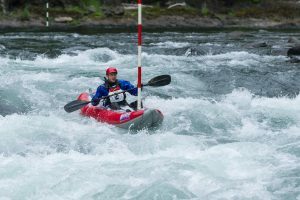 You start at Fish Creek and test your endurance by paddling the mile or so down to Carter Falls. The race finishes by testing your skills through the slalom course. There are time penalties for missing or touching the gates and the fastest modified time wins. Prizes will be awarded to 1st, 2nd and 3rd place finishers! Please stop by the Goodwater Boat Works booth if you would like to demo a Cronin Inflatable for this race.